There will be an extended shopping centre, more places to eat and drink and a new nine screen cinema with an IMAX-style screen, making Blackpool the preferred place for shopping and entertainment. It’s hoped construction will begin in the New Year to build the three storey extension to the shopping centre with a Wilko store and restaurant on the ground floor and first floor. The extended tramway will connect North Station to the Promenade, helping more people get to where they need to be by providing a direct link to shops, hotels and attractions. As all of the work is being phased, only some areas of Talbot Road and its junctions will be closed at one time. The roadworks phase of the project will be complete by the end of February 2019. The construction company for the new Premier Inn are currently on site and are expected to complete their works by early 2020. A 21st century state of the art conference centre is being built, encouraging more people to stay and shop in our town. The steel frame for the main event space is currently being installed, with next steps including connecting the new build to the existing Winter Gardens. The conference centre is expected to open for business August 2019. Please note, sections of Talbot Road will temporarily reopen whilst there is a break for the Christmas period. Dates will be published on our website and Facebook page, and diversion signs will be in place. Road users are being advised to plan trips in advance and follow diversion signs. Businesses in the town centre will be open as usual. There will be a heavily discounted parking offer available at selected town centre car parks from December 1 to January 2. This offer will be delivered in association with the Town Centre BID and will be promoted extensively in the weeks leading up the start of the Christmas shopping season. Further details will be circulated as soon as the offer is confirmed. 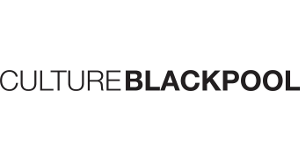 Cllr Gillian Campbell, Deputy Leader of Blackpool Council said: “We continue to move forward with the improvement works which will deliver a better Blackpool for both residents and visitors. Find Blackpool Councils updates here.